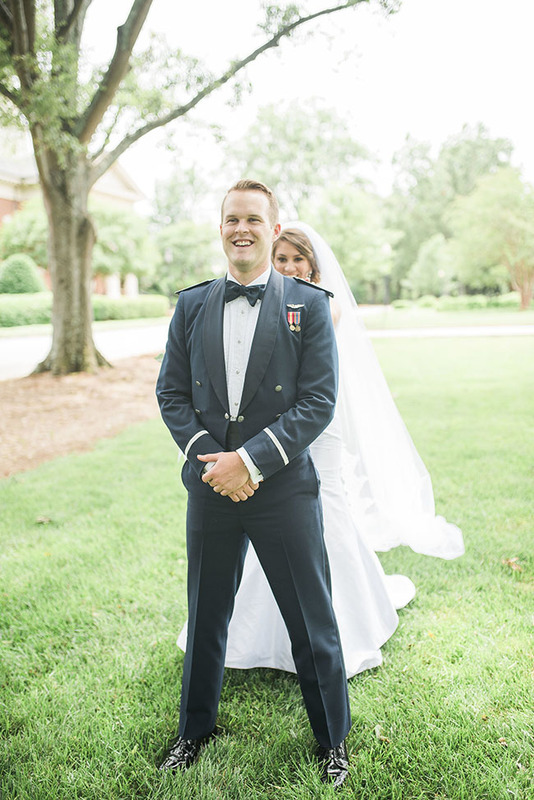 Well it's been a looooooong time since I shared a wedding on A Military Story since I've been teaching full-time and have a 2 year old toddler. BUT DO IT HAVE A TREAT FOR YOU! 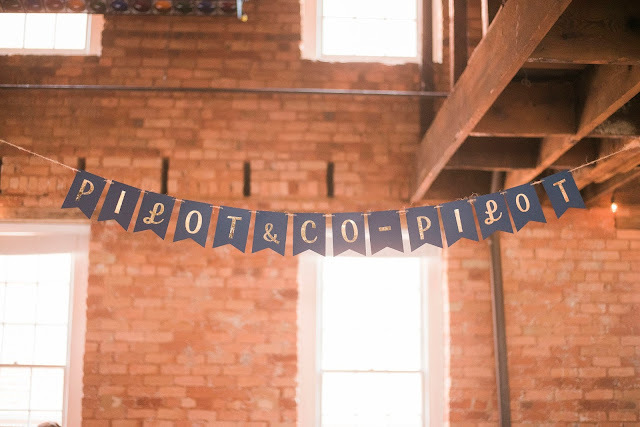 This beautiful wedding is full of DIY charm. Enjoy and if you want to see more click here. 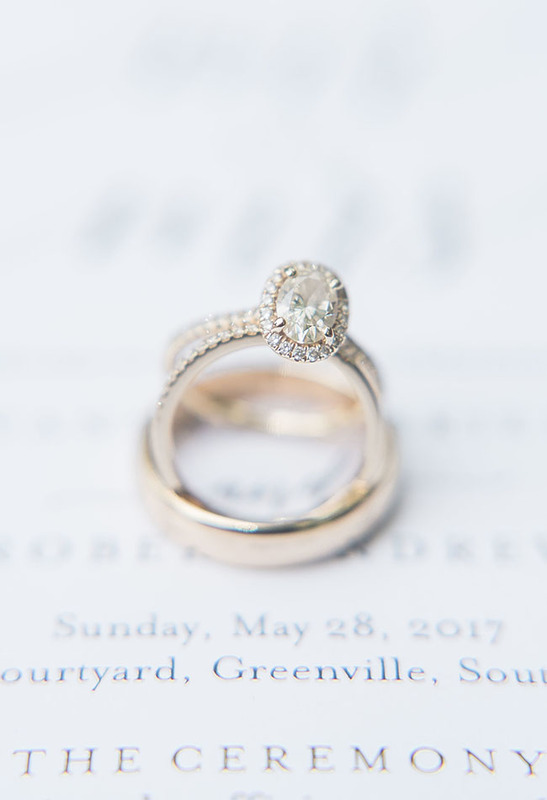 From the bride, "I wanted to share with you a little about our 05.28.2017 wedding in Greenville, SC. 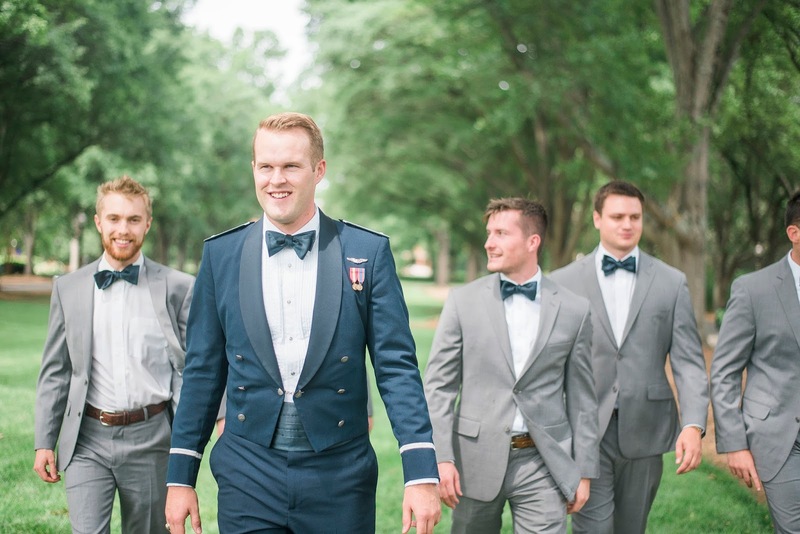 My now husband, Drew and I are both active duty Air Force officers. I am a public affairs officer and he is training to be an AC-130 pilot. He went to Clemson Univ. and I went to the Univ. of South Carolina (One of the biggest rivalries in history). We both did AFROTC at our respective universities, but never met until we went to the Arnold Air Society National Conclave in Chicago, IL. This is a national ROTC convention and we met at the Natural Museum of History in Chicago, right in front of the giant TRex! After meeting, we instantly felt a connection. He was a year ahead of me in school, so he graduated and moved to Columbus Air Force Base, Miss. About 8 months later, I decided to put CAFB as my #1 job location so that I could follow him and woo hoo I got it! We were stationed together at CAFB from Sept '16-Jan '17 and then he left for training in Texas, and now in Little Rock, AR. Following Little Rock, he will go to Hurlburt Field. We do not know if we have a join spouse assignment or not yet... so yay for continuing to be long distance. We got engaged in Washington DC at Mount Vernon (George Washington's Home) on Veterans Day. Nov 11, 2016. It was a total surprise as he flew up and surprised me while I was attending tech school. 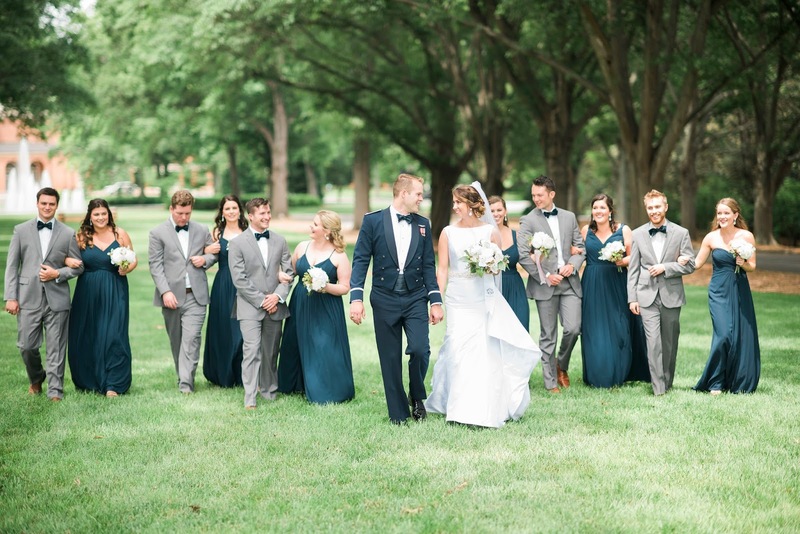 We kept with the American traditional military holidays and got married Memorial Day weekend. 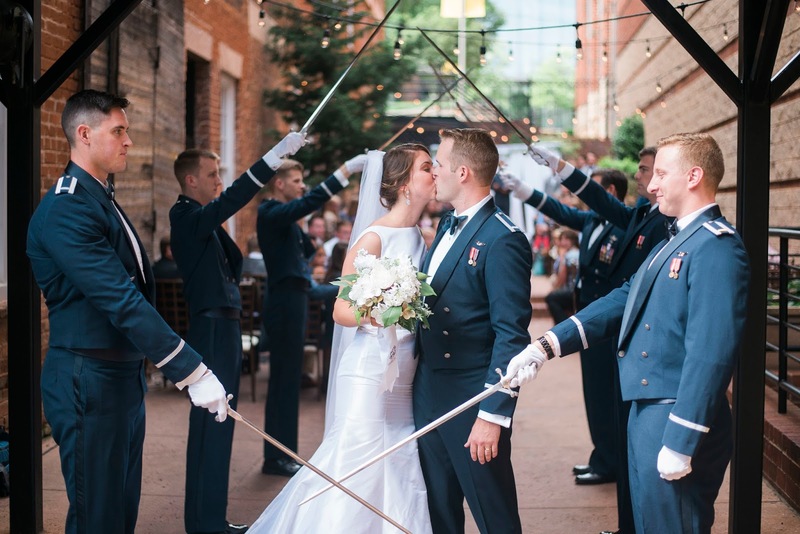 We had a very traditional military wedding - saber arch, cut the cake with the sword, and my husband wore his formal mess dress. 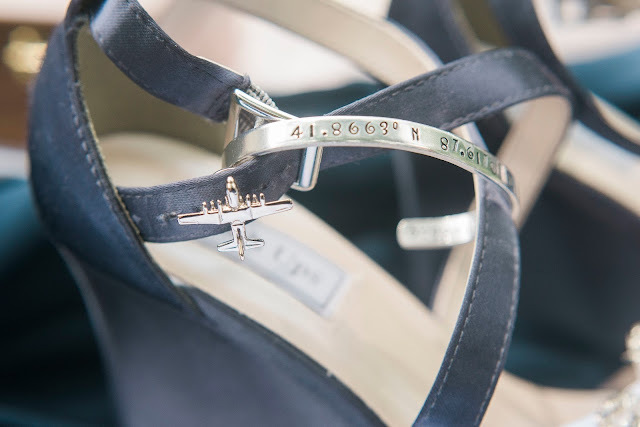 I even included a small C-130 pin on my shoes. 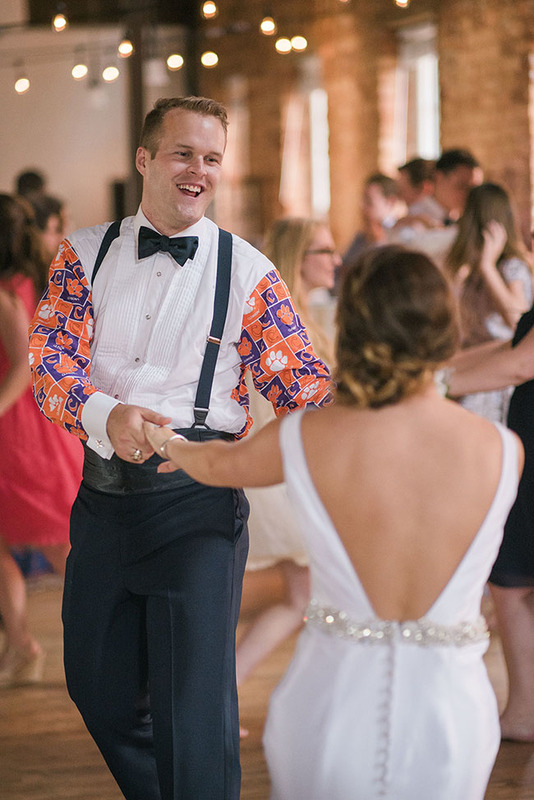 He kept the tradition of having a "party shirt" with his mess dress - Clemson sleeves and all. 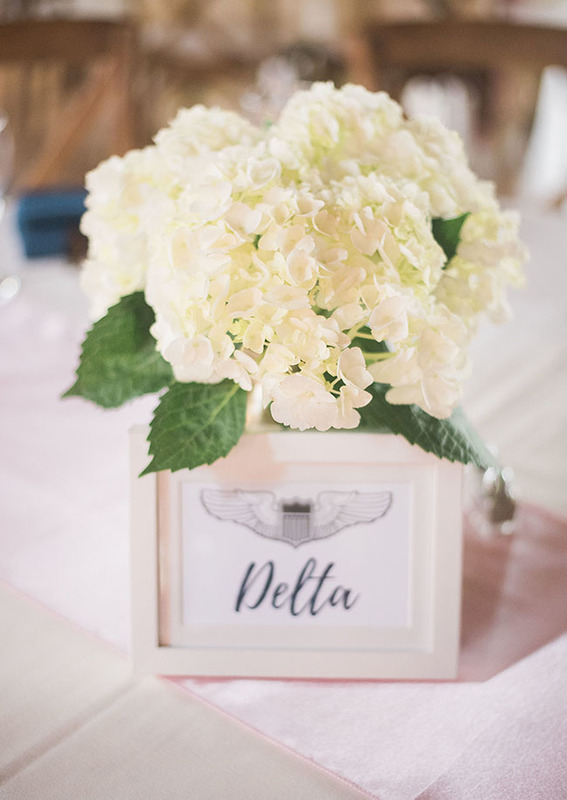 We also used the military alphabet as our table numbers. 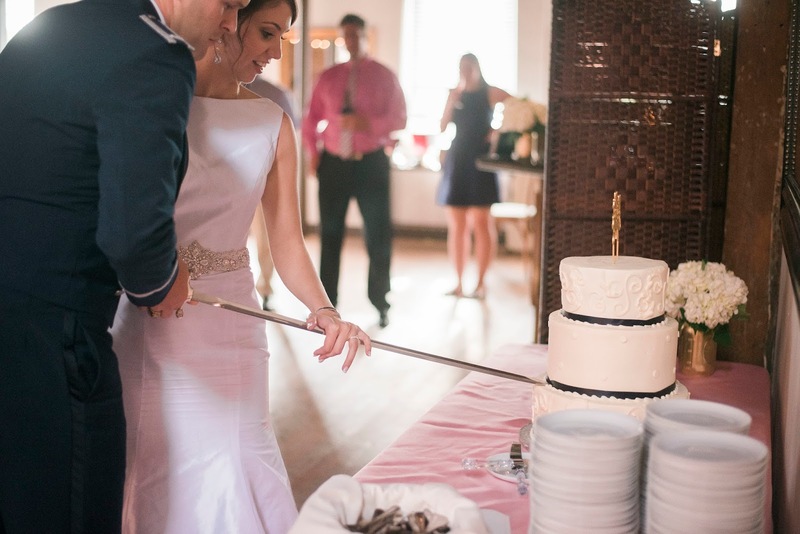 We did a sparkler exit at the end, and we used an AC-130 105mm bullet casing to hold the sparklers in!" 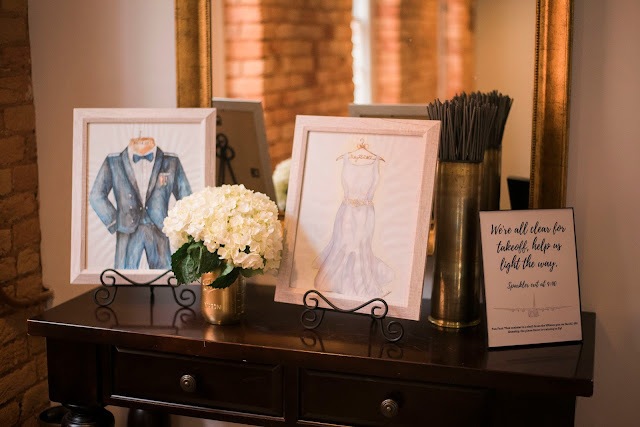 Thank you Savannah for sharing your love story and wedding with us!